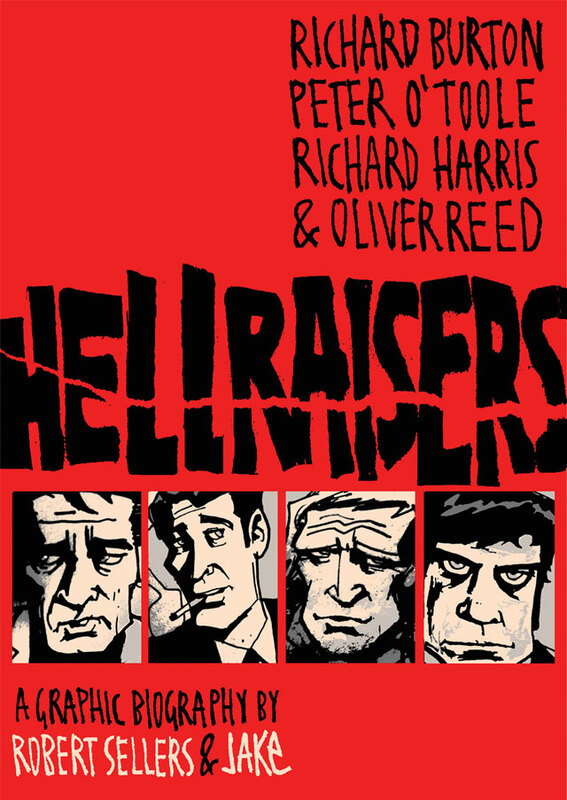 Hellraisers is the story of four of the greatest boozers of all time: Richard Burton, Richard Harris, Peter O'Toole and Oliver Reed. Robert Sellers and JAKe cleverly weave the four biographies seamlessly into one fast-paced adventure of drunken binges, orgies, parties and fun. Told through the eyes of Martin, a wannabe hellraiser, we begin our tale in a typical London pub at Christmas time. Martin sits alone at the end of the bar, drinking himself into oblivion. Our four hellraisers, alerted to a comrade in need, are compelled to intervene. One by one, they take this disillusioned soul on a personal tour of their lives, their tumultuous childhoods, rise to stardom and chaotic personal lives. 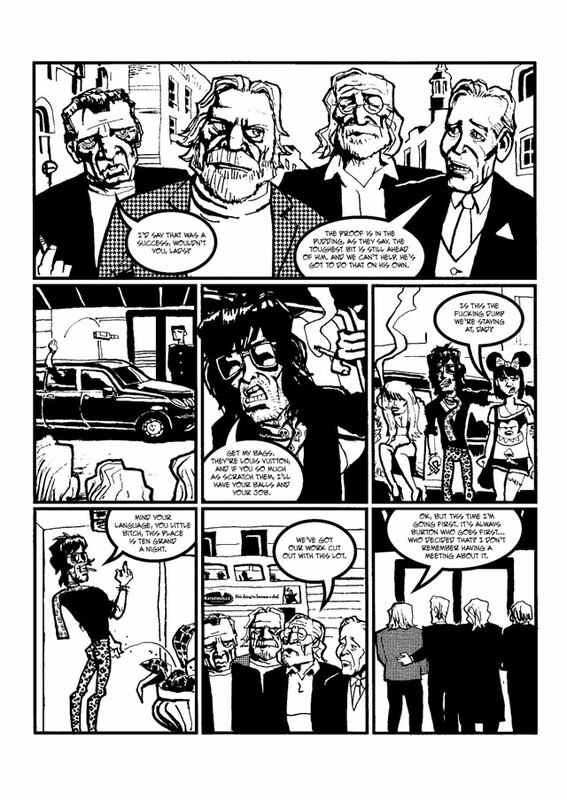 JAKe and Robert Sellers' graphic novel provides all wannabe hellraisers with an account of four very cautionary tales. JAKe is an illustrator, graphic designer, comic artist, writer and animation director based in London. His iconic work for the Prodigy on the Fat of The Land LP brought him to the attention of an international audience. His work for Lucasfilm on the Star Wars and Indiana Jones properties has been reproduced worldwide. His illustrations appear in the bestselling Mighty Book of Boosh and the intergalactic manual How To Speak Wookiee, and have been published in the NME, the Times, Esquire and Time Out, among many others. "It's a match made in Hollywood heaven." 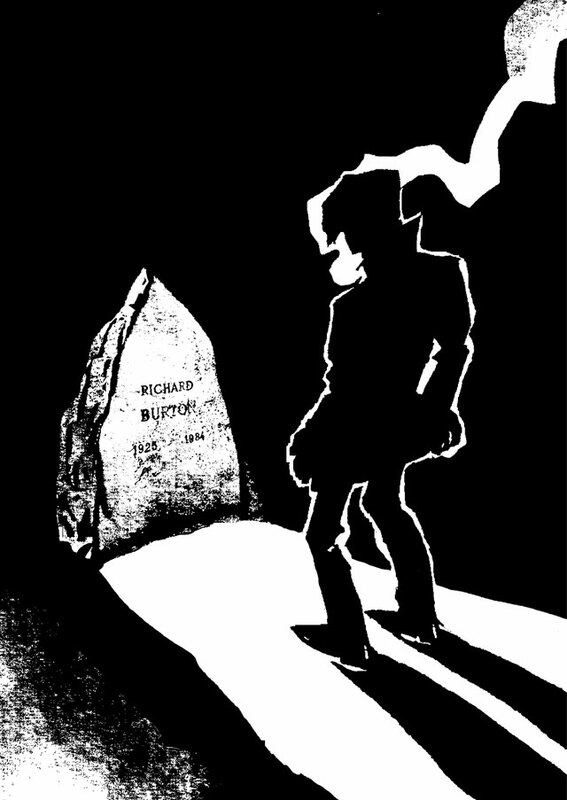 "A fast-paced cautionary tale in comic form... Sellers captures their roguish charm and poignant melancholy, while cartoonist JAKe expresses the glint in the eyes that never dimmed."